Asa – 10 months in this picture, though is now almost 1. 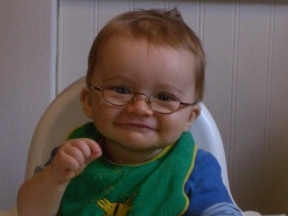 He started wearing glasses at 9 months, for strabismus related to farsightedness. Glasses are Disney brand.